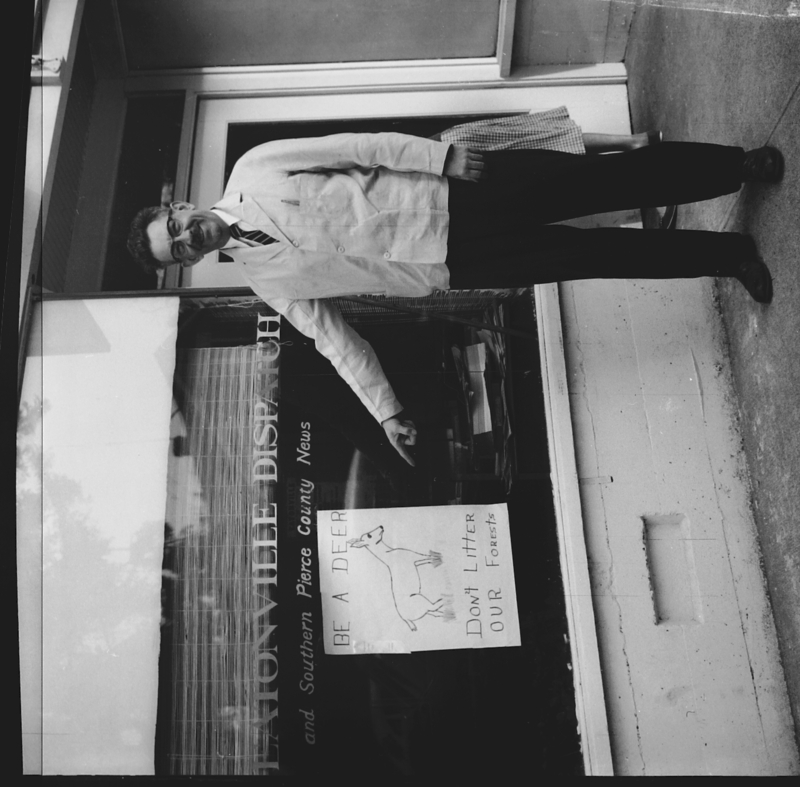 We have Joe Larin (Eatonville postmaster from 1935 to 1944) outside the Eatonville Dispatch, showing off a sign Be a Deer, Don’t Litter OUR Forests. I’m going to guess this was the results of a kids’ contest, although I don’t have any information on it. 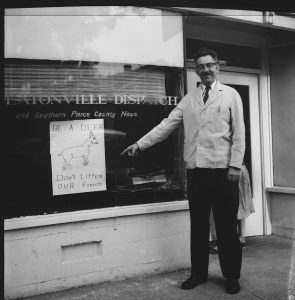 It’s just that the Dispatch had lots of kid contests over the years. Photo courtesy of the Baublits family and Joe Larin.